Before the internet, if a writer wanted to connect with another writer, a trip to a known literary hangout might have to be made. Fortunately, we have the world-wide web now, filled with authors and illustrators who blog. One of the most generous and knowledgeable of those is our guest today. 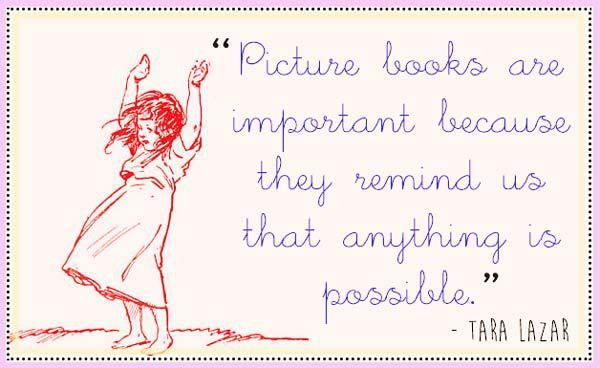 Tara Lazar, author, mom, entrepreneur and founder of the famous PiBoIdMo (Picture Book Idea Month) is smart, savvy and spunky. I know there are quite a few published picture books out there now that got their start as ideas in aspiring authors’ PiBoIdMo notebooks. Welcome, Tara! I really appreciate your being here. I know how busy you are, so I’ll get to the interview right away. Tara: Roald Dahl, Judy Blume, Beverly Cleary and William Steig. I was fascinated with Steig’s “CDB”. I thought it was marvelous that I could speak only in letters and make complete sense! Dahl, for me, was wickedly good because he seemed to know so much about how children thought, how I thought. His adult villains were always so despicable—brilliant! He taught me not only do you need a character to root for, but someone to root against! Tara: That it’s not about selling a book to a publisher, it’s about selling a book to a child. That seems like a very simple thing to understand, a given, but I think you get so caught up in chasing this dream in the beginning, that you lose sight of who you’re truly writing for. The children must come first. Tara: I tend to write on my laptop in my bedroom, sitting on my bed. It’s the most comfortable place for me. But I don’t like routines, so I try to switch it up often. I’ll write in the kitchen, the dining room or out on my deck. I’ll take myself out to lunch at Panera or a local café. I have a notebook full of storyboard paper where I draw doodles to help plot out a story if I get stuck. Occasionally I’ll write longhand, but honestly I haven’t done that in months. My fingertips are numb which makes it difficult to hold a pen, and I have a bit of a tremor, too. So it’s just not easy or comfortable. Plus I type so much more quickly. My longhand cannot keep up with my brain. Tara: Who, who. Night owl here. I feel most productive in the late afternoon and evening. But that is changing now since I have to awaken before dawn to help my middle-school daughter get up and out the door. The last couple weeks I’ve conked out at 9pm instead of after midnight. I don’t have a set time to write. I don’t write every day. Much of my time “writing” is spent staring and thinking. I often say that “staring is writing” because there’s so much thought that must go into writing a picture book, many pieces of the puzzle that have to click together in a small space. So even when I’m not writing, I’m thinking, I’m staring at the screen. And that counts. Sometimes when I get a story idea, I must sit down and write right away. Other times, the concept has to “marinate”. My subconscious works on it as I go through my daily tasks. Then an epiphany may come while I’m unloading the dishwasher or folding laundry. Most of them arrive in the shower. Some happen while I’m doing other creative things, like making jewelry or painting with my kids. My writing routine is to not have a routine. I like the variety in my days. I think it keeps me sharp and open to new story ideas. Tara: It’s the most fun you’ll ever have writing. Anything goes. I love Charlie and the Chocolate Factory because It reminds me that we, as children’s authors, can create anything. Like snozzberries and Oompa Loompas and vermicious knids. As long as that thing has a reason to exist, a logical reason, then you can put it in the story. Kids, unlike adults, never read something and say, “Well, that can’t happen!” Of course it can. Anything is possible. ME: Please share any tips that will help aspiring writers/illustrators or anything else you feel would be of interest. 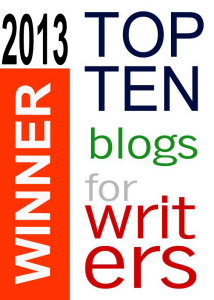 As the blog award above shows, you have one of the Top Ten blogs for Writers…it is a treasure trove of helpful information. Tara: Keep writing, keep creating something new. Know that it will likely take years to see your work in print. Just don’t give up. Get down to work. And always remember your audience. Thank you so very much, Tara! You inspire me! And I love your advice to always remember our audience and never give up…I think I need to make a banner of that and hang it over my computer. Tara is represented by Ammi-Joan Paquette of the Erin Murphy Literary Agency. Tara loves children’s books. Her goal is to create books that children love. She writes picture books and middle grade novels. She’s written short stories for Abe’s Peanut and is featured in Break These Rules, a book of life-lesson essays for teens, edited by author Luke Reynolds. 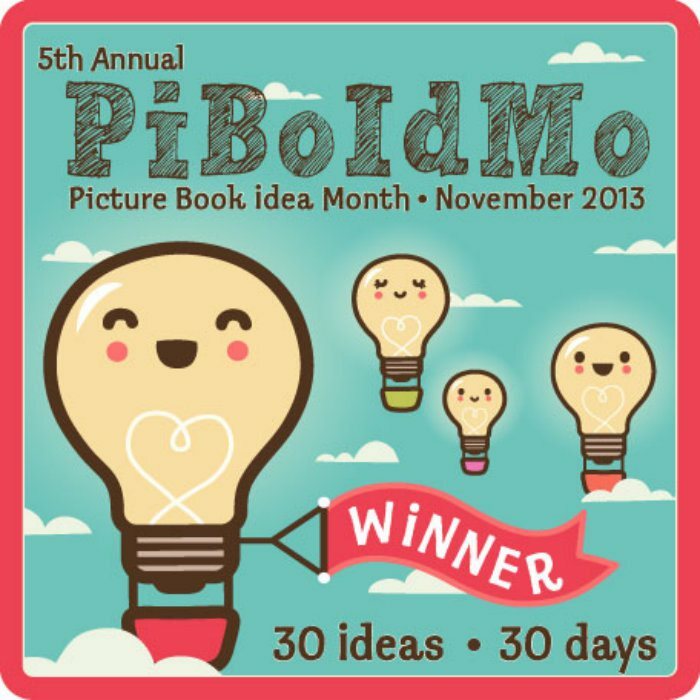 Tara created PiBoIdMo (Picture Book Idea Month) as the picture book writer’s answer to NaNoWriMo (National Novel Writing Month). PiBoIdMo is held on this blog every November. In 2013, PiBoIdMo featured 1,150 participants and over 100,000 web hits. Tara was diagnosed with Multiple Sclerosis in 2010 and has permanently lost feeling in her feet and legs. She has an inspirational story to share about overcoming a devastating illness to achieve your goals and dreams. 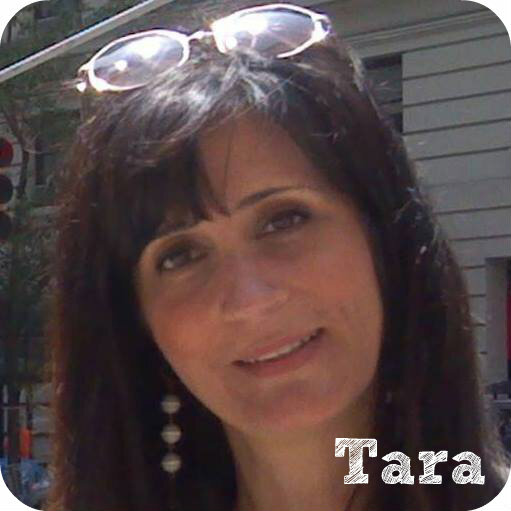 Tara can speak to groups big and small, young and old—just contact her for more information. She’s a member of SCBWI and speaks at conferences and events regarding picture books, brainstorming techniques, and social media for authors (backed by 20 years experience in internet marketing, from the time when gophers and usenet trumped the web). Her former career was in high-tech marketing and PR. She also teaches for The Writer’s Circle Workshops. And that’s all she wrote, folks!!! Oh, are you waiting for something? Are you looking for one of Tara’s favorite sweet treat recipes? Ta-da! Here it is…Pumpkin Whoopie Pies…whoo-hoo! Cream butter and sugar in another bowl until light and fluffy. Add eggs one at a time and beat well after each addition. Mix in pumpkin and vanilla. 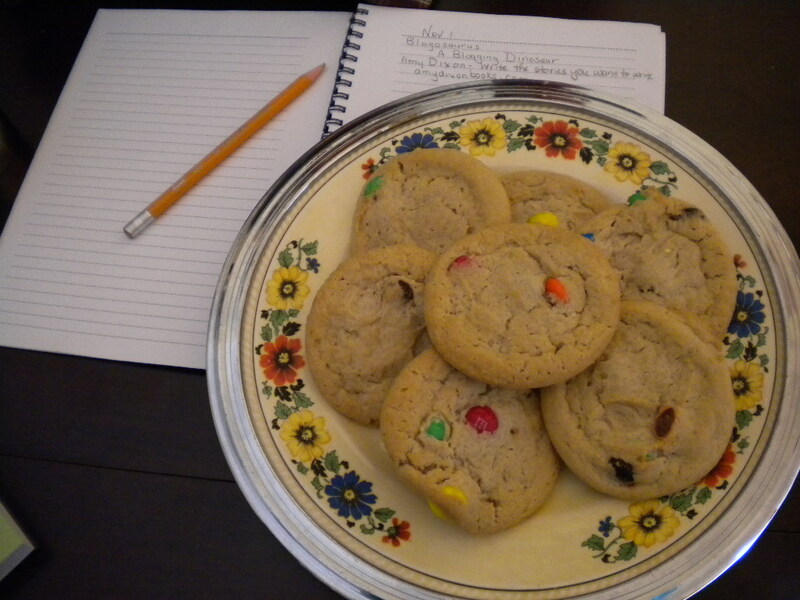 Drop by tablespoons onto cookie sheets lined with parchment paper. Bake 10-15 minutes at 350 degrees. Mix well. Spread filling between two cookies. 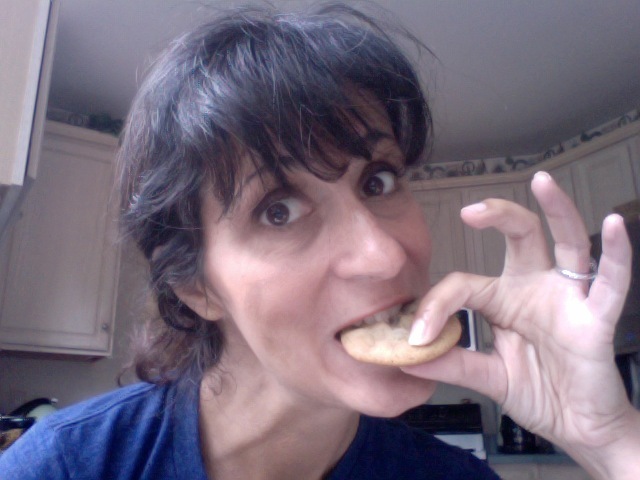 This entry was posted in Tara Lazar, Will Write for Cookies and tagged Multiple Sclerosis, PiBoIdMo, Picture Book Author Interview, Pumplin Whoopie Pies, Tara Lazar, The Monstore by viviankirkfield. Bookmark the permalink. Tara, you are inspiring and your writing routine makes me chuckle. I thought I was the only one that writes on my bed, my kitchen table, or on the side of the road (yep, it’s true) just to change up my routine. Great interview you two! And the recipe sounds yummy! Wonderful interview Tina and Tara. Looking forward to the PiBoIdMo challenge, Tara. It was one of the first challenges that really fueled up my new writing life. Sorry VIVIAN! HA! Tina’s comment was the last thing on my mind and I have not had my first full cup of coffee yet. That happens when old guys comment on blogs too early in the morning. Thanks Vivian for interviewing the lovely Tara Lazar, You are both such inspirational women and I appreciate all of your words of encouragement and wisdom on my own writing journey. 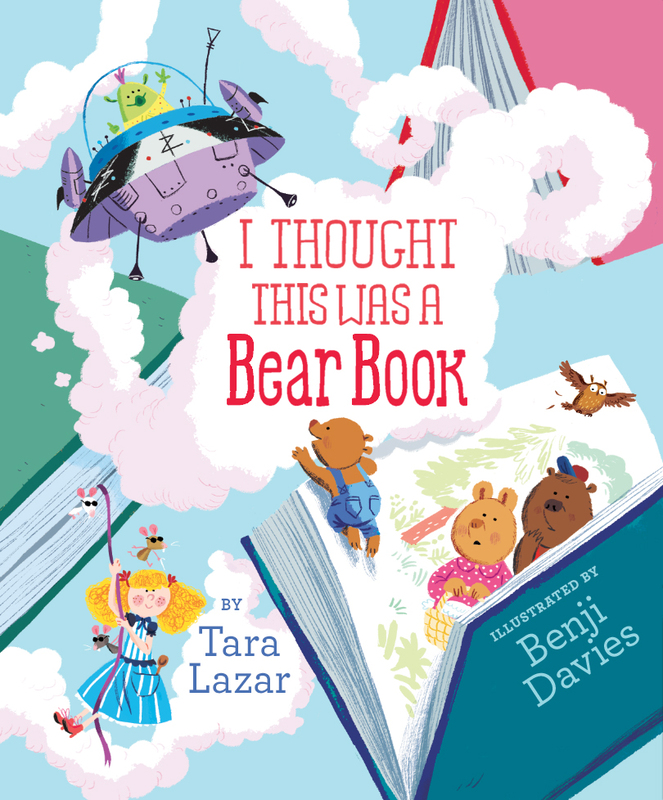 I can’t wait to read Tara’s forthcoming books….the titles are fantastic! Thanks for the peek into Tara’s World! Another great interview Ms Kirkfield. I really enjoy this theme of yours! Thanks, Rhythm…glad you are enjoying these posts…I’m so lucky these lovely authors have shared great stories with us…and delicious treats!!! What a great series, Vivian! I am soooo behind in my blog reading, but I’m glad I caught this one. Interesting that Tara doodles to figure out plot – I may try that next time I am stuck. Plus I think I need to make cookies now. It’s kind of drippy and cool today – perfect for baking! What a fun interview. Good to learn more about Tara. 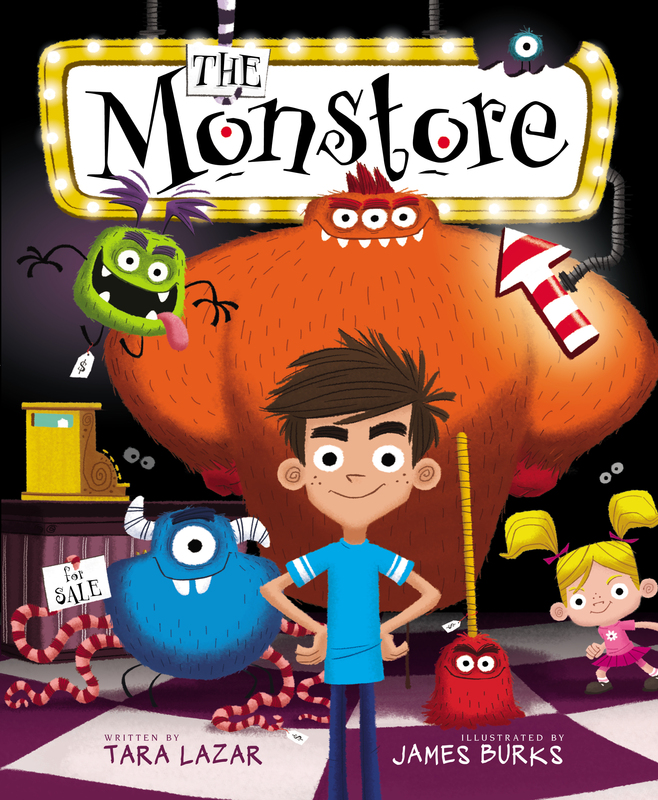 I have heard about The Monstore and hope to check it out soon! Wonderful interview! I love what Tara said about thinking being a big part of a writer’s life. So true! It’s not necessary to write everyday, but it is important to keep our senses open to generate new ideas. And much time is spent thinking about a work in progress- fine tuning rhymes, improving a story arc, etc. And I also love that Tara doodles. It’s really great to plot out a story visually. Even non-illustrators would benefit from this. And oh, that whoopie pie recipe! Thanks, Ladies.